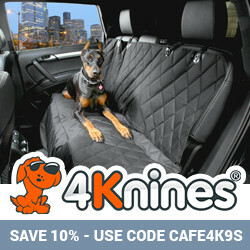 If you’re dashing around town with your dog, off to the airport, visiting grandma’s house, or on your way to a doggy play date you know how handy it is to have nice roomy, easy to clean bag for all your best friend’s needs. 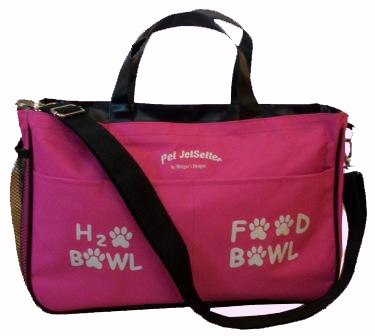 The Pet JetSetter bag can handle water, portable dog bowls, snacks, maybe dinner, a coat, wipes, a couple of favorite toys, a comb or brush, a hand towel, and the ever present poop bags. 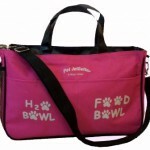 This entry was posted in Mary Haight, Pet Products and tagged pet jetsetter tote, pet travel bag, washable tote bag on December 13, 2012 by Mary Haight. addictive and you can waste hours. Always great working with you, Mary.